Midweek, mid-month and we're right back at it! 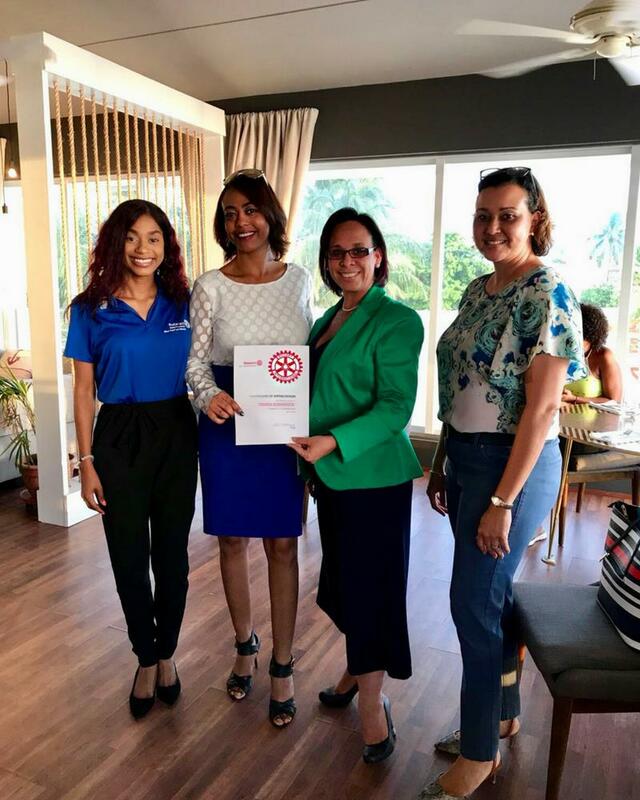 President Rene and Community Service Director Andrene presenting guest speakers Teresa Echenique and Cassondra with a certificate of appreciation for speaking to us about Maple House. Let us take it from the top! 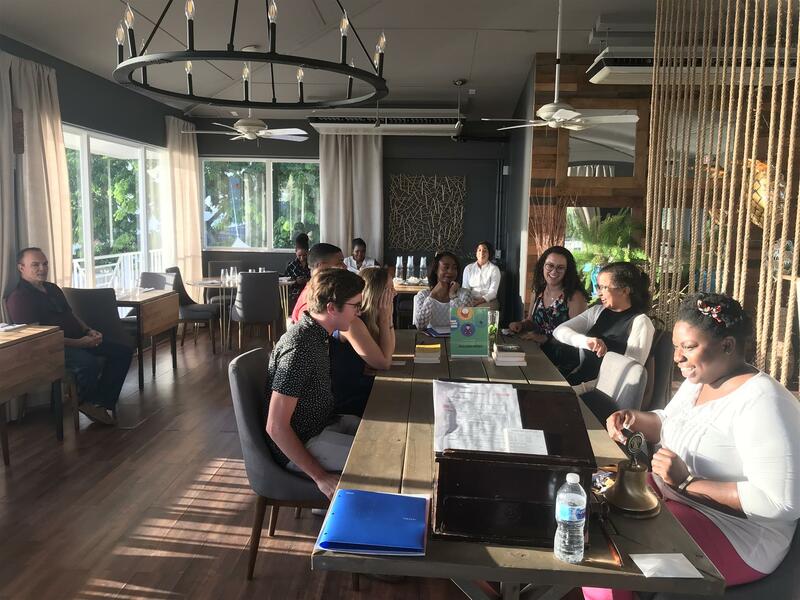 After the formalities, the meeting began with an icebreaker by Professional Development Director Brian which really taught us how to improvise. We had to align ourselves by first name (A-Z) without speaking - no sweat right? After we were in order, each person said their name and affiliation with Rotaract. We almost had it right! Then he shook it up a bit by asking us to get in order of birth month and date. It really got interesting then! We moved into our announcements about upcoming dates and events which you will find in our newsletter (click to subscribe), right here on our website and in our meeting reminder emails - we got you covered! For our 'Building Minds: Show & Share' segment, Public Relations Chair Alanna gave us a quick review of her thoughts on the book 'Hacking Growth' by Sean Ellis, Morgan Brown. She stated the key takeaway being, "in the digital age, organizations should no longer rely on traditional marketing methods to create, and eventually sustain, meaningful relationships with their clients." We were joined this meeting by Teresa Echenique, Chief Officer of Community Affairs and Cassondra Fearon, Social work Manager at Department of Children and Family Services (DCFS) who came to speak to us about The Maple House and their on-going efforts to help disabled children in our community and how we can get involved. There is a new facility being built for the younger residents of Maple House and DCFS would like our help (and yours), in any way possible. Of course monetary donations are welcomed to Maple House but your time is just as valuable – if not more. Whether that may be visiting, reading to the children or anything to show that you care. The meeting ended with our raffle which President Rene won (again - it's a conspiracy) and fines followed by food and fellowship. This residential facility serves the needs of disabled children. It also operates daytime programmes. It is operated by the Department of Children and Family Services. Contact our Community Service Director Andrene Powell for more information. Building Minds, a show-and-share catered to young business professionals. Like the Japanese philosophy of Continuous Improvement (Kaizen), our goal is to adopt a mindset of Continuous Learning. We want our members to seek, absorb and disseminate as much knowledge as possible. Contact our Professional Development Director Brian Ogilvie for more information rbprofessionaldevelopment@gmail.com.